The early warm weather seen by much of the country means that allergy season is just around the corner — and maybe even at your doorstep if you live further south. Pollen could hit the air early this year and stay there for months — meaning an increased allergy season across the country. Seasonal allergies impact millions of Americans every year and there are a number of ways those individuals seek relief. Antihistamines: For most people, antihistamine pills are the primary treatment for seasonal allergies. They help block the overactive immune response (histamine release) of the body to pollen or other allergens. While some versions of the medications caused drowsiness and other side effects, second-generation medicines are generally more tolerable. Nasal Irrigation: By using a pre-packed saline solution or a Neti pot, some people fight allergies by removing the source — the pollen. Washing pollen out of the nose can be effective before bed or if you will be inside. Air Purifiers: Another way to prevent allergies at the source is to keep the indoor air clean. With whole-home air purifiers, people can use their home’s HVAC system to trap pollen and prevent it from circulating throughout the house. Natural Remedies: There are also many other methods, considered more natural, that some people use to fight allergies. Acupuncture, eating local honey or even special diets are not generally medically supported as an allergy solution, although some sufferers report success. 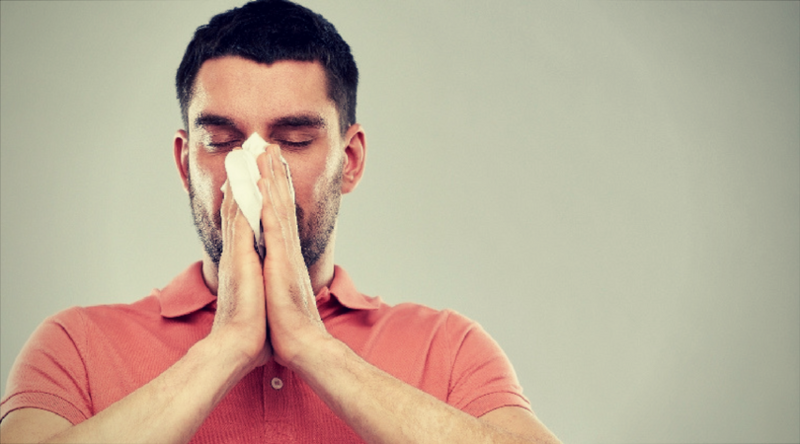 If your allergies are starting to flare up, call an HVAC expert or visit Aprilaire.com to find out how indoor air quality solutions can help you. I agree that air purifying is a great way to alleviate allergy symptoms. Thanks for sharing!